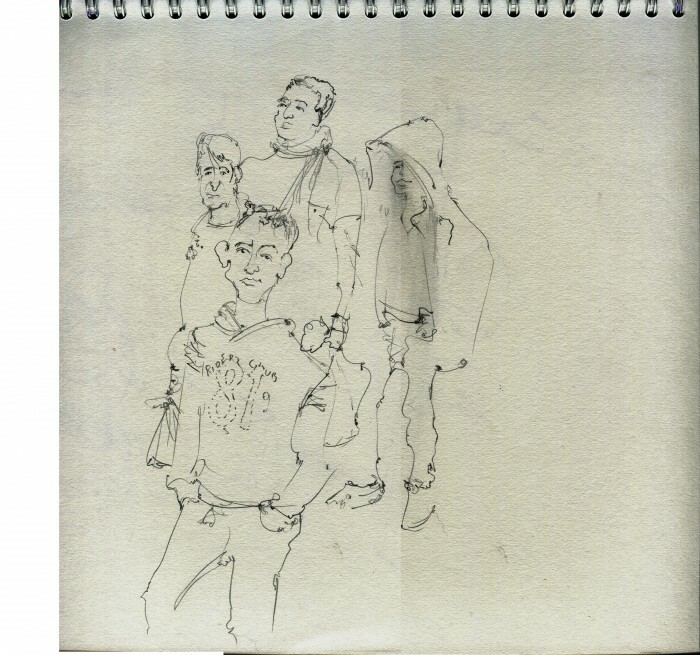 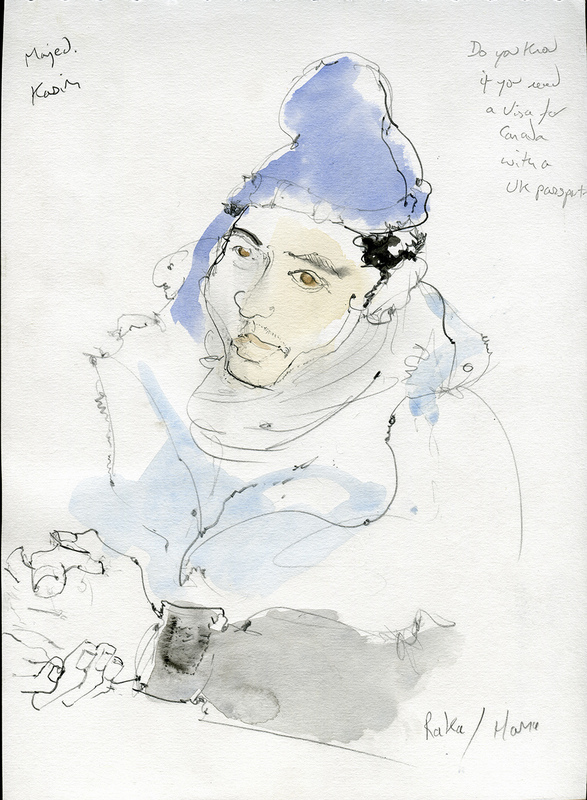 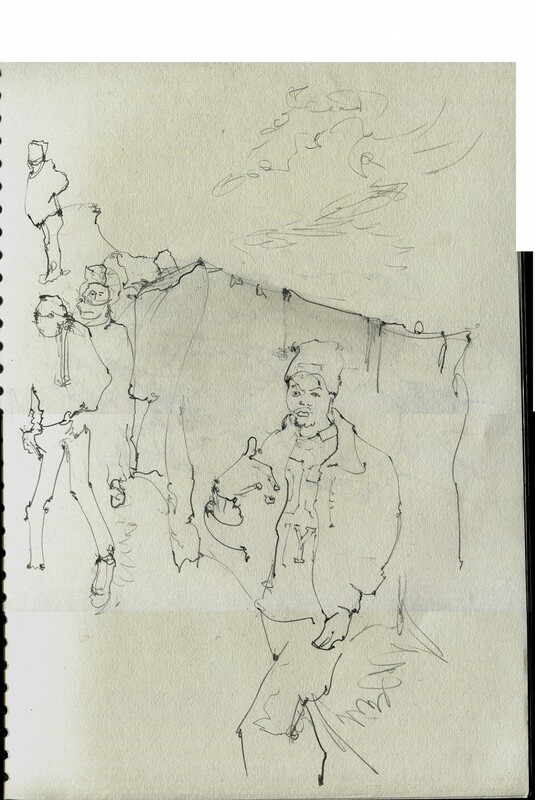 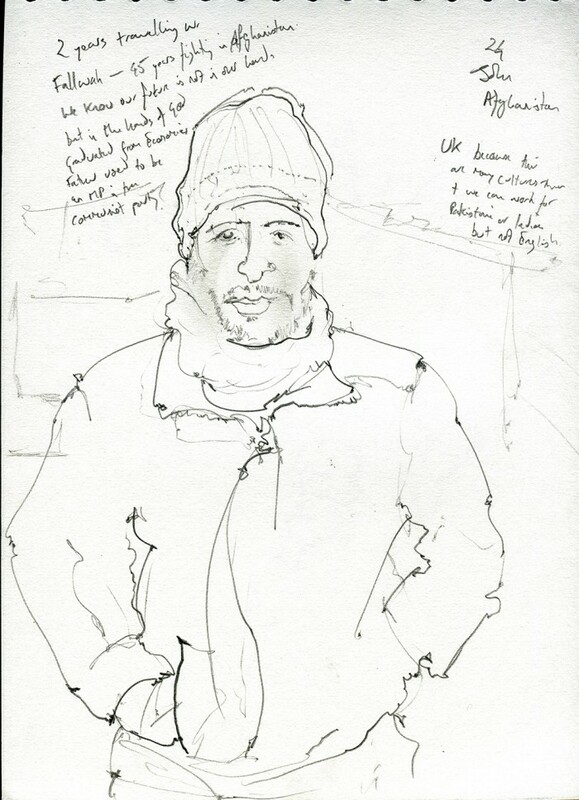 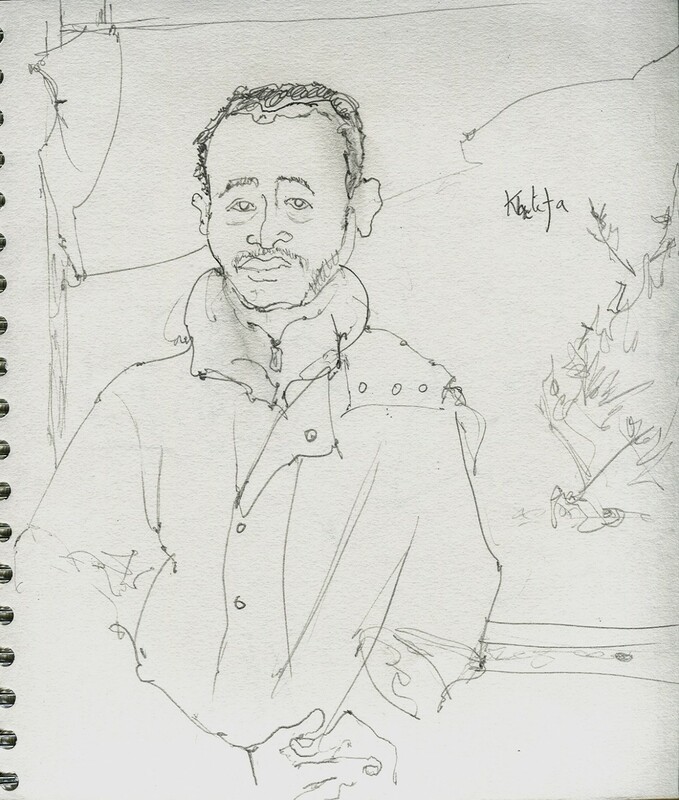 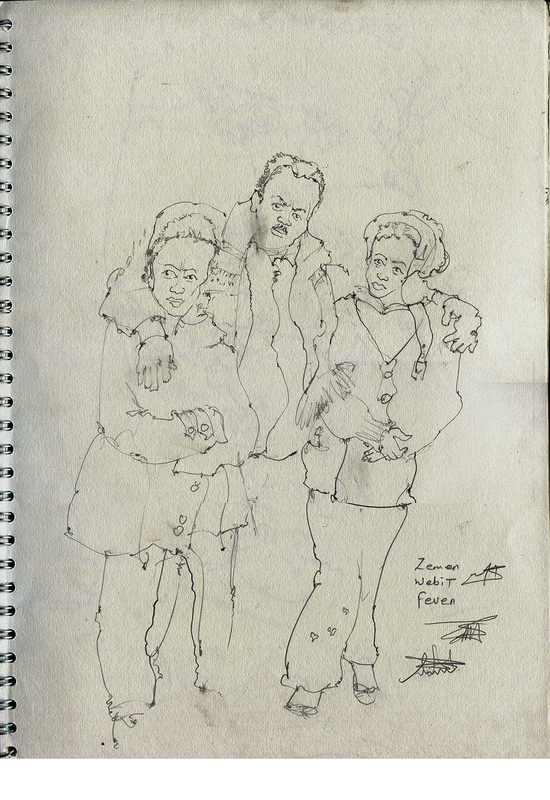 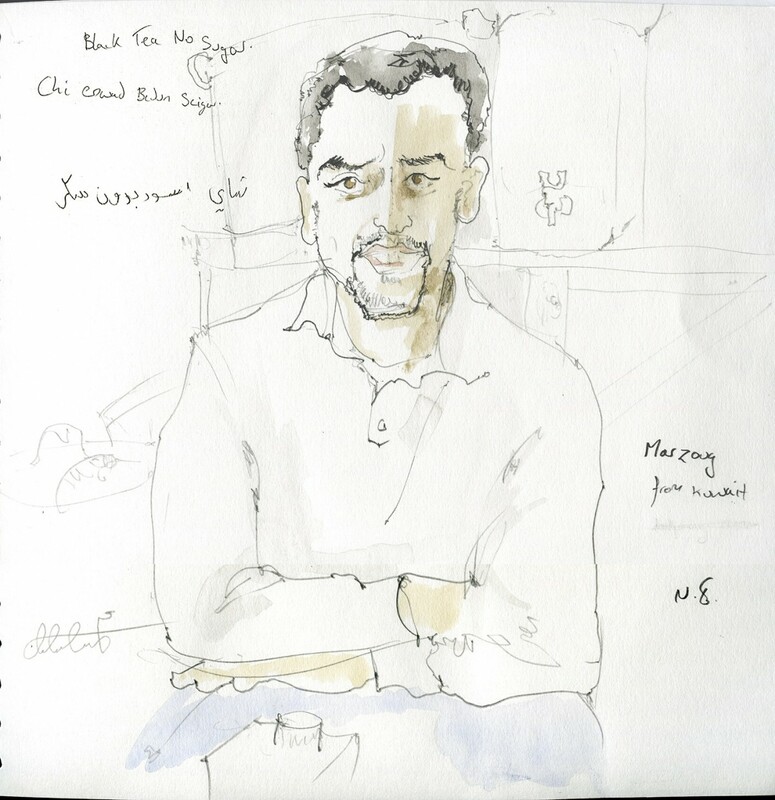 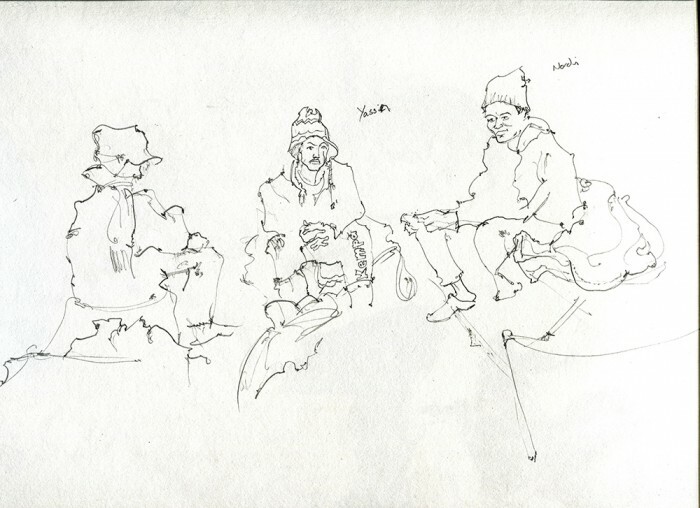 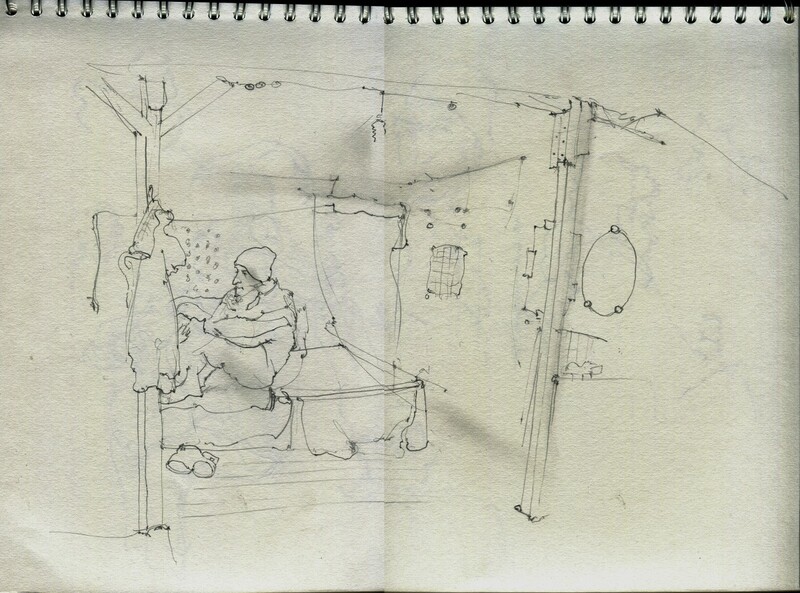 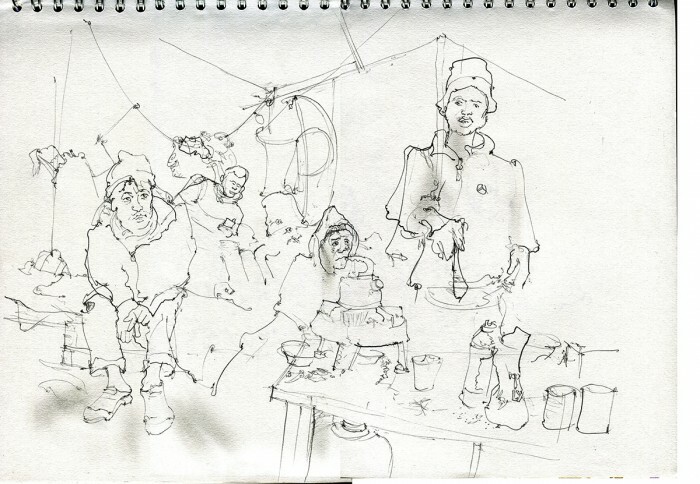 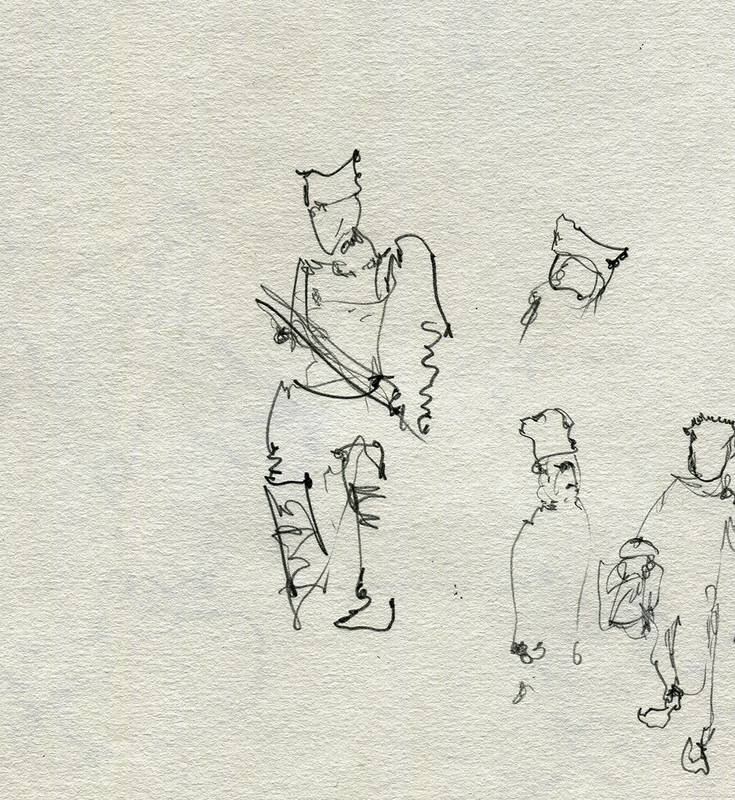 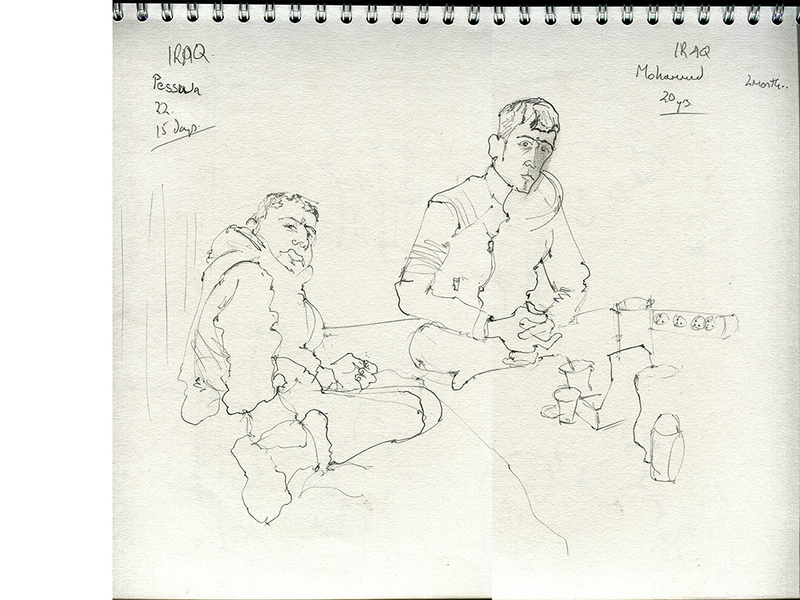 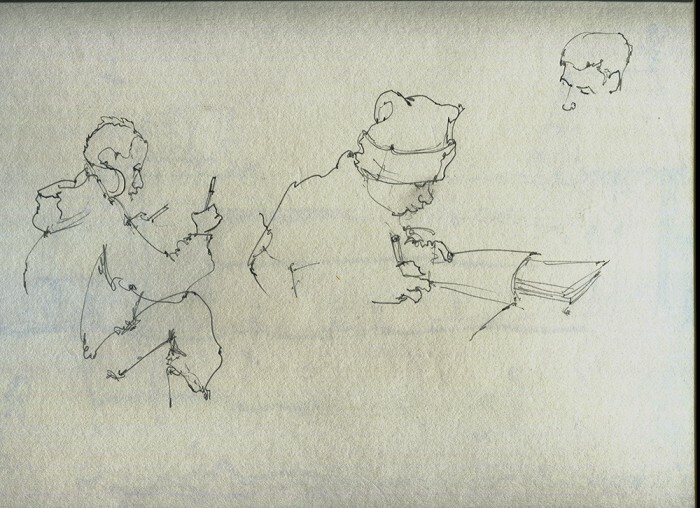 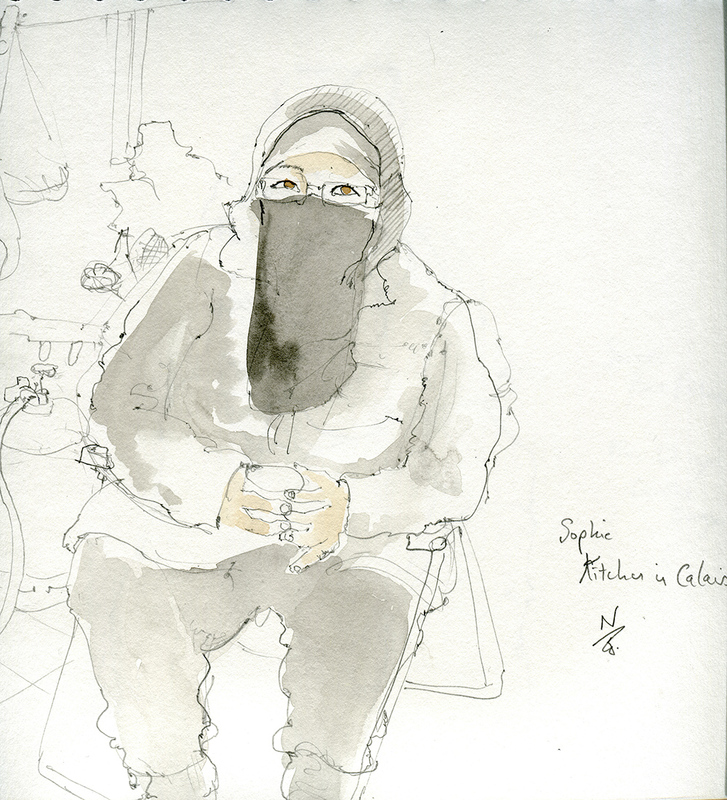 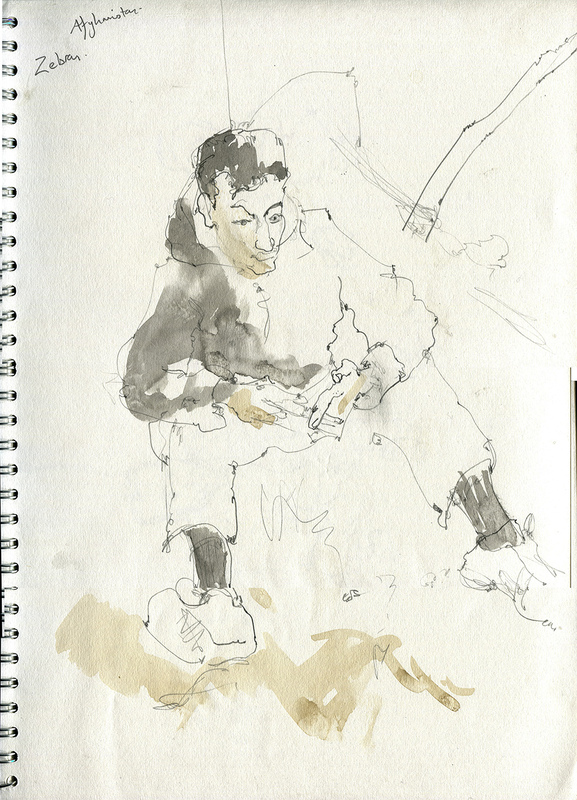 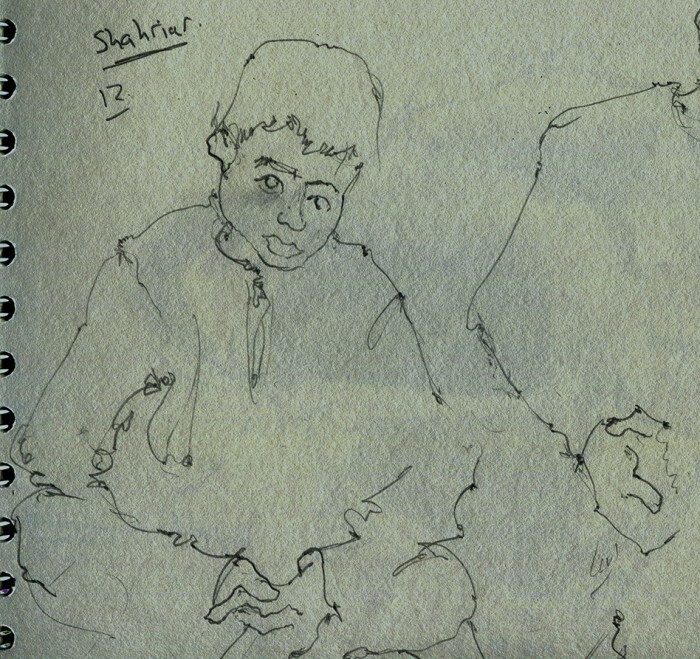 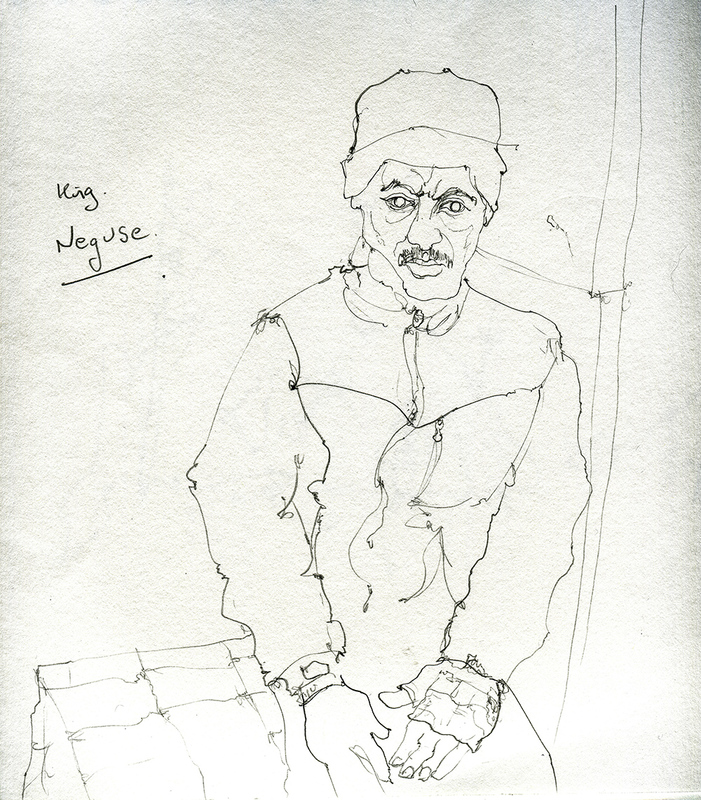 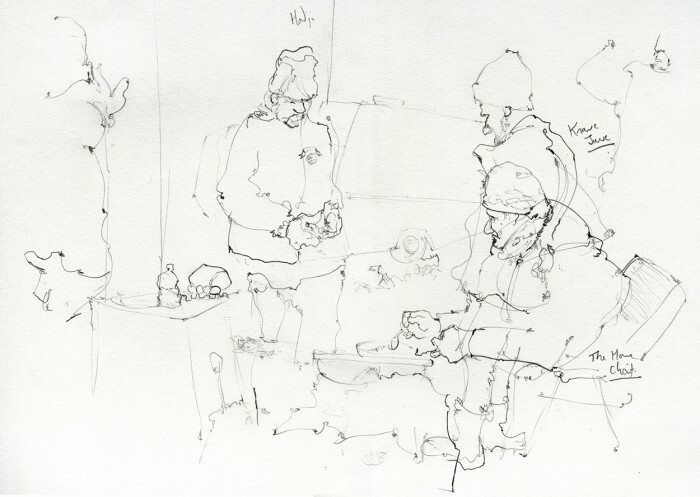 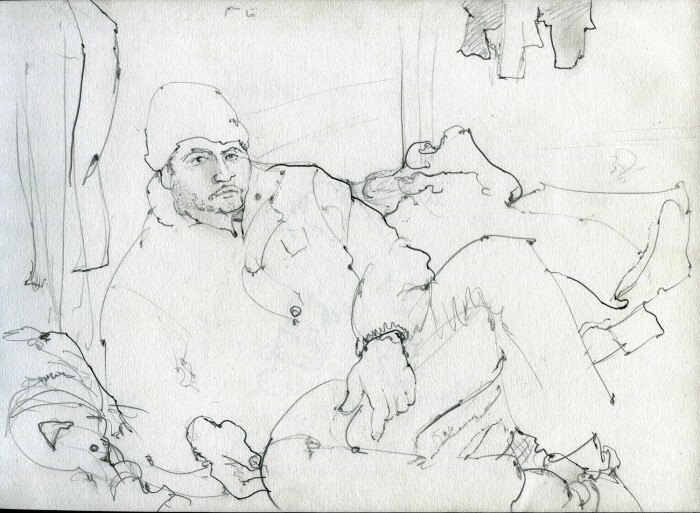 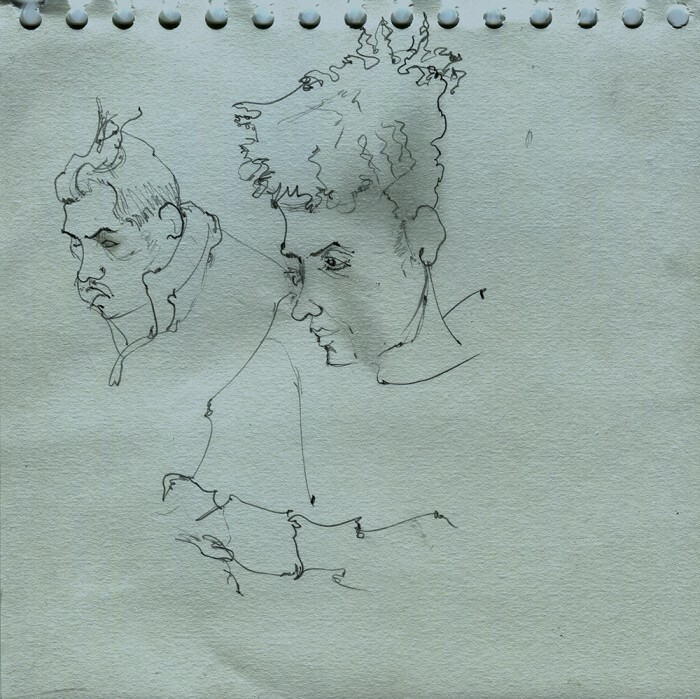 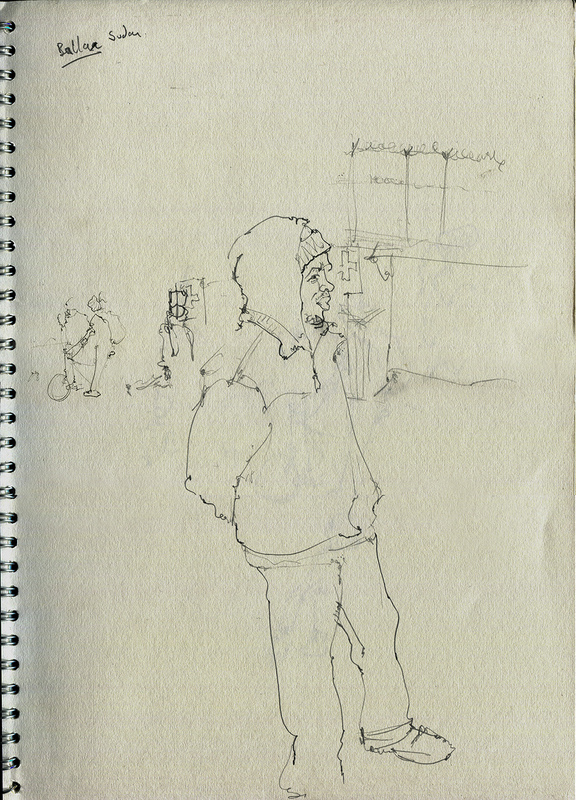 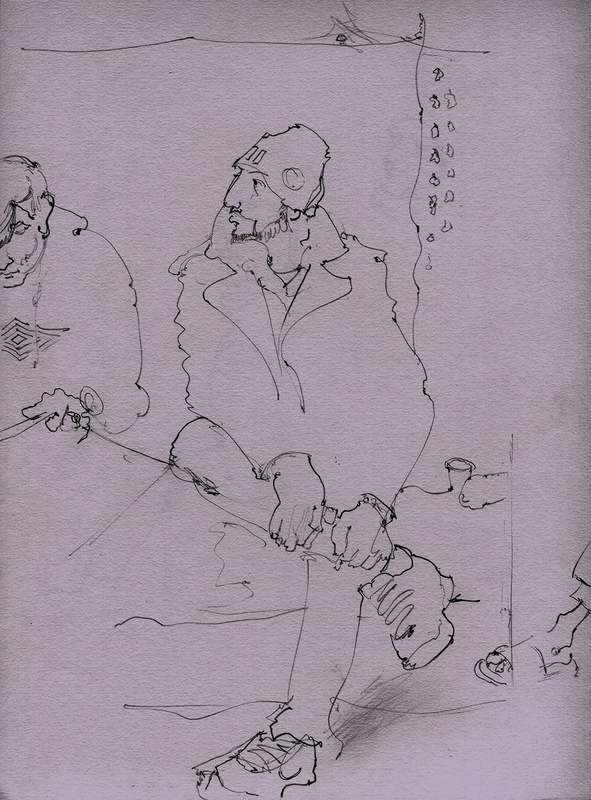 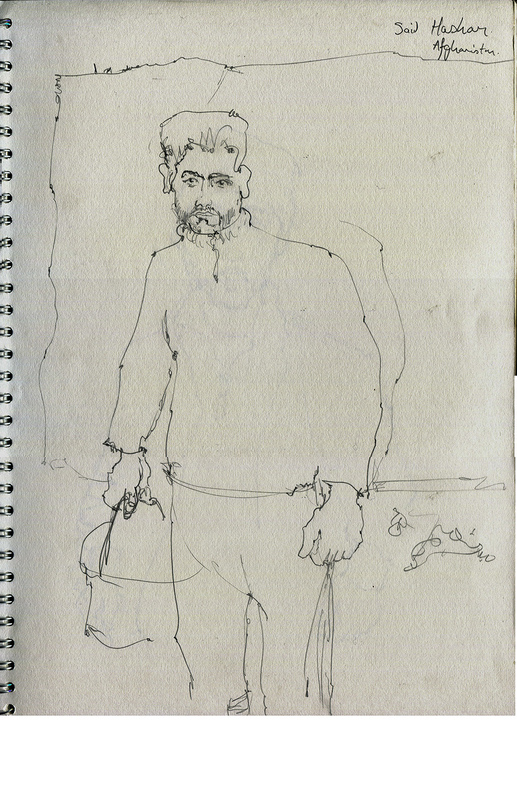 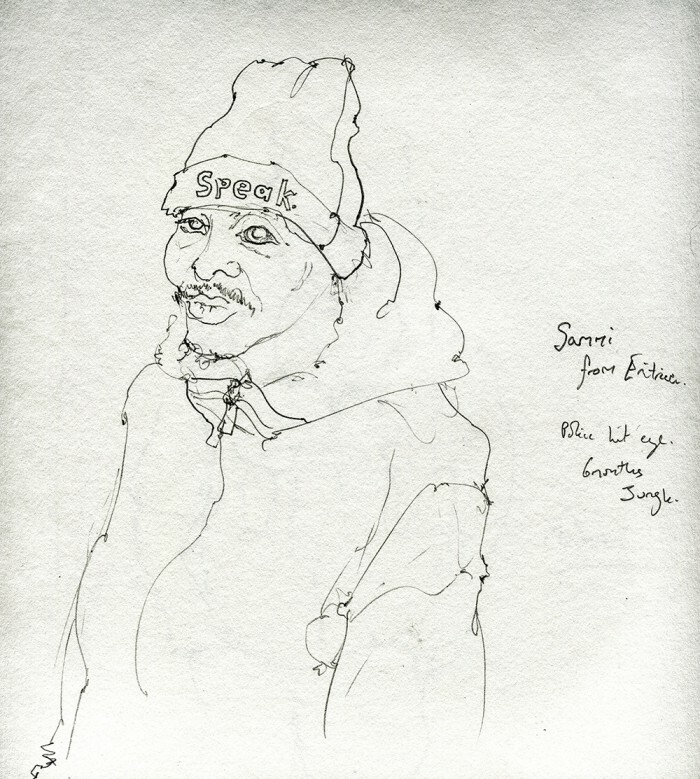 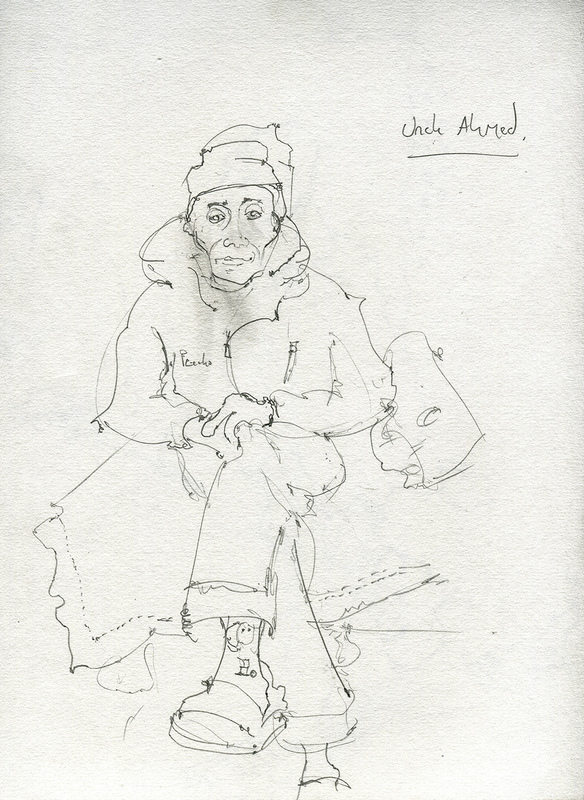 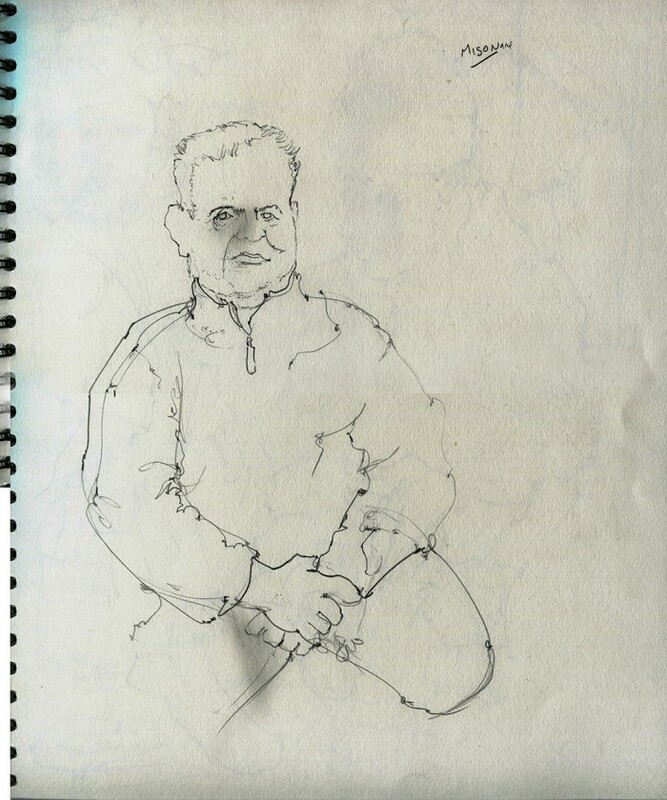 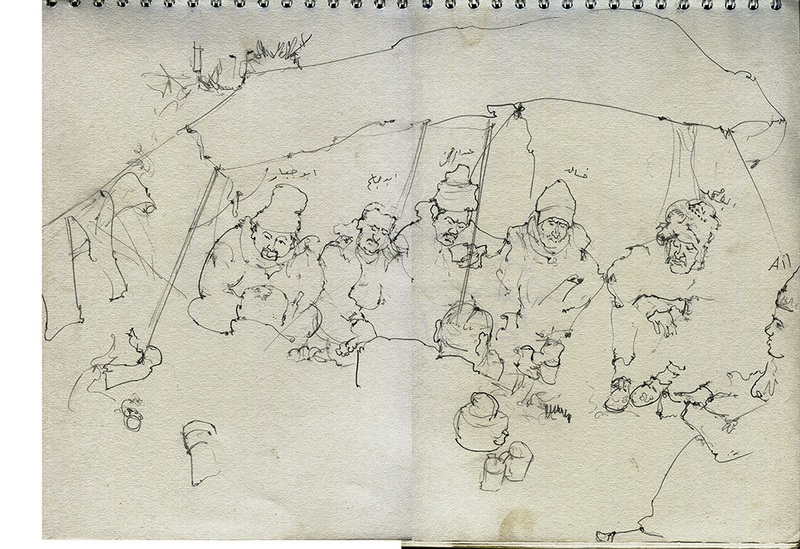 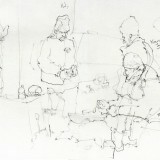 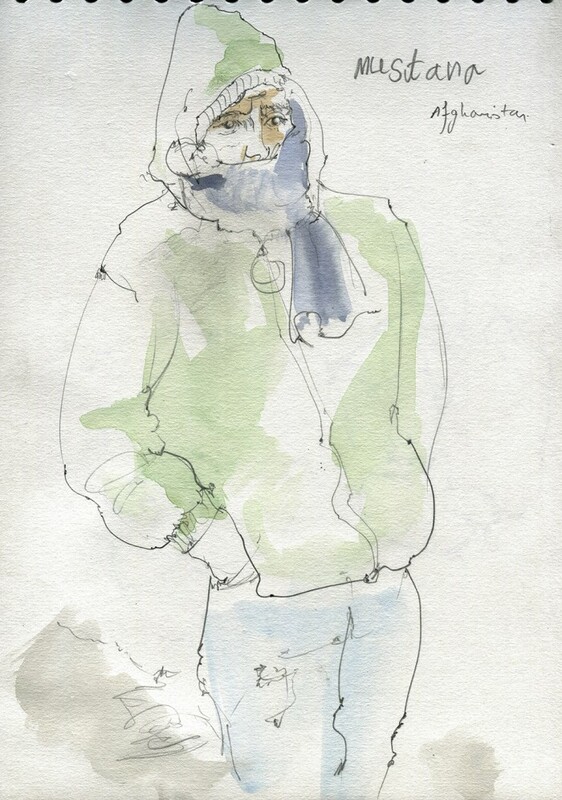 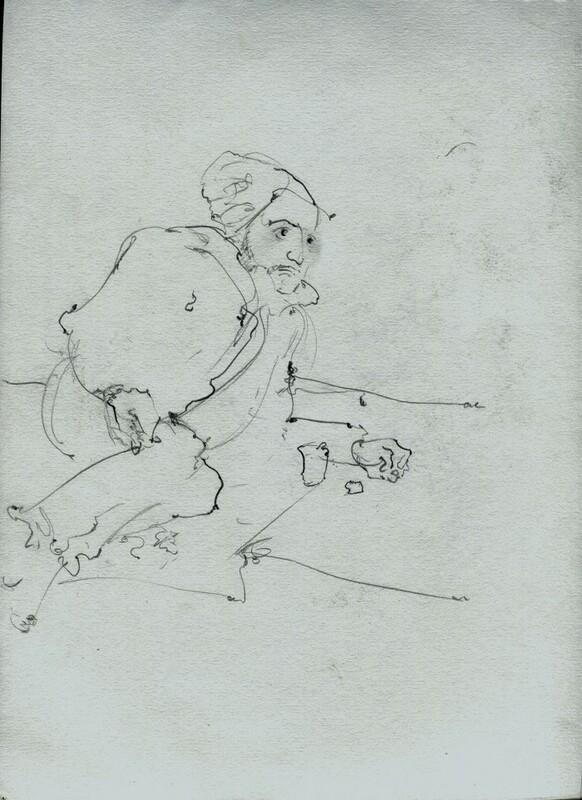 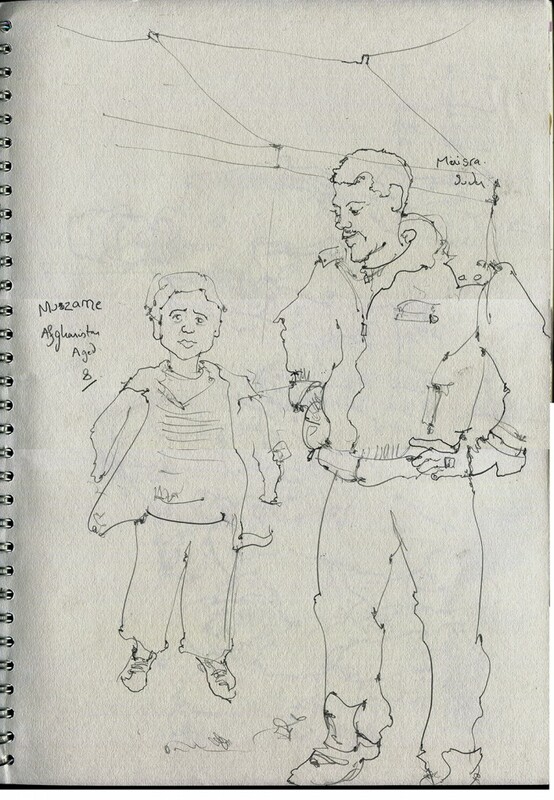 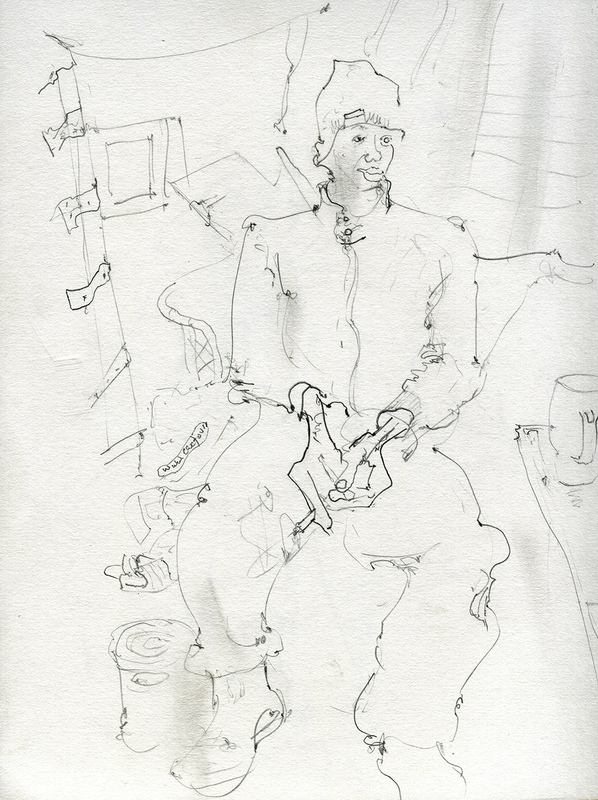 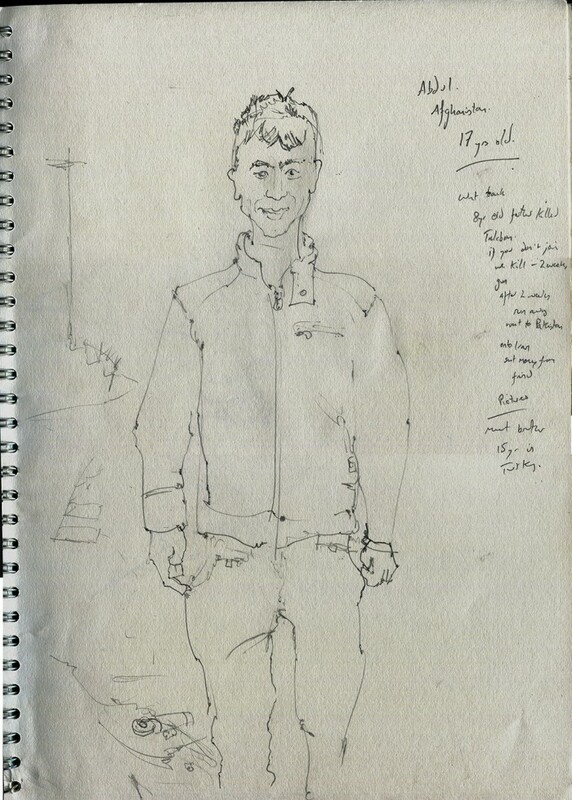 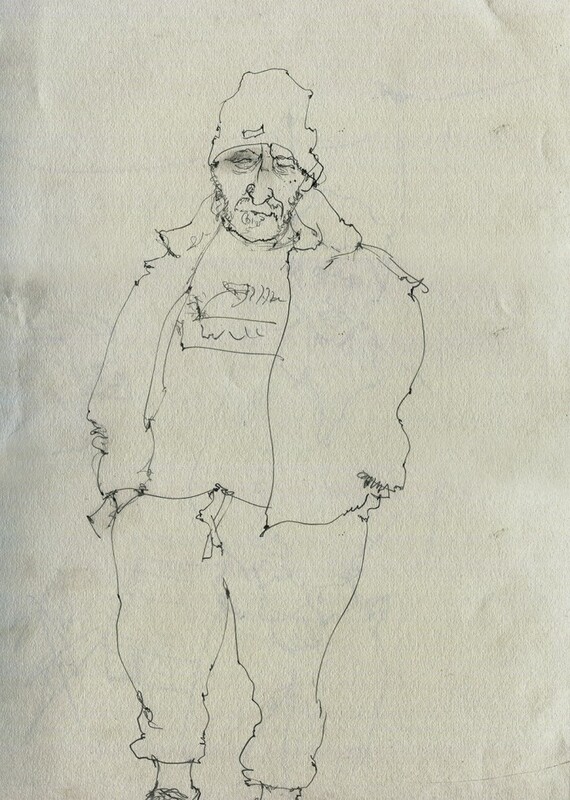 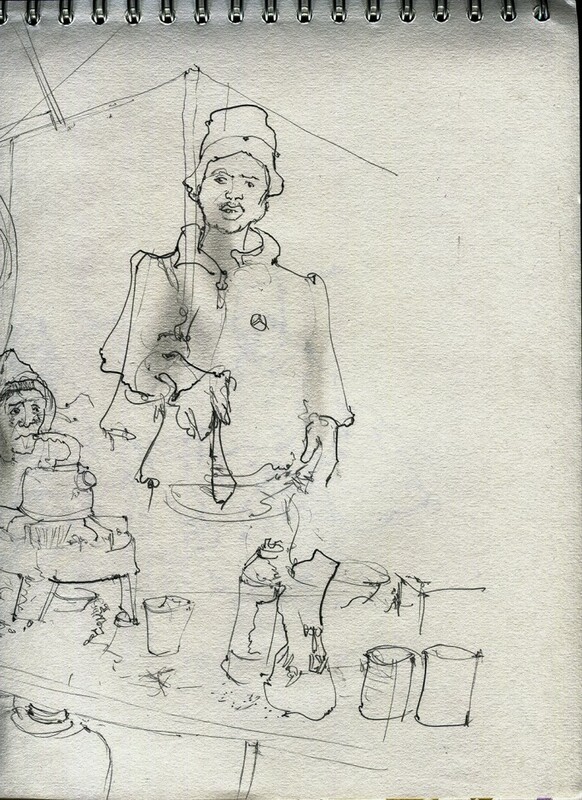 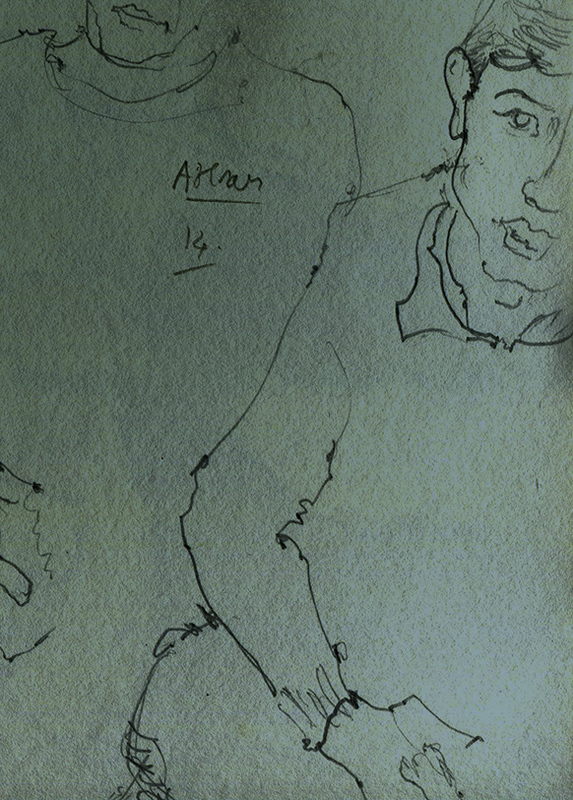 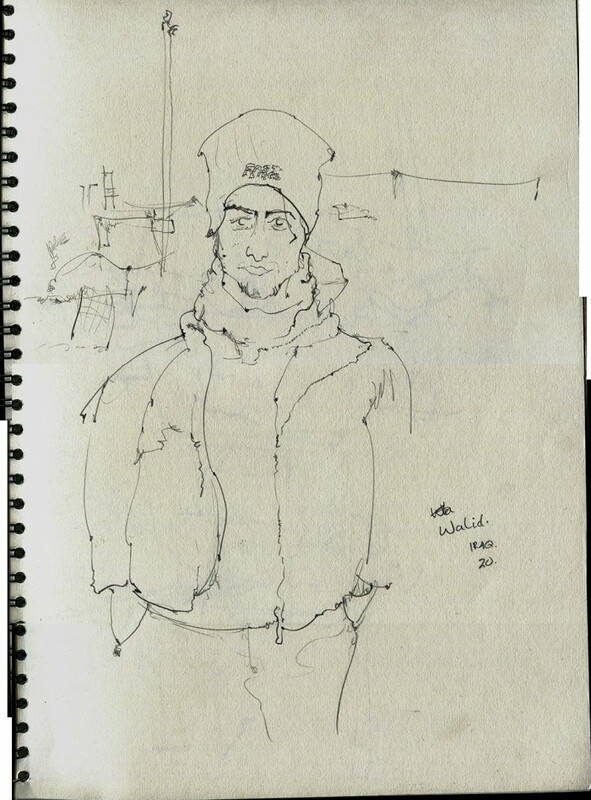 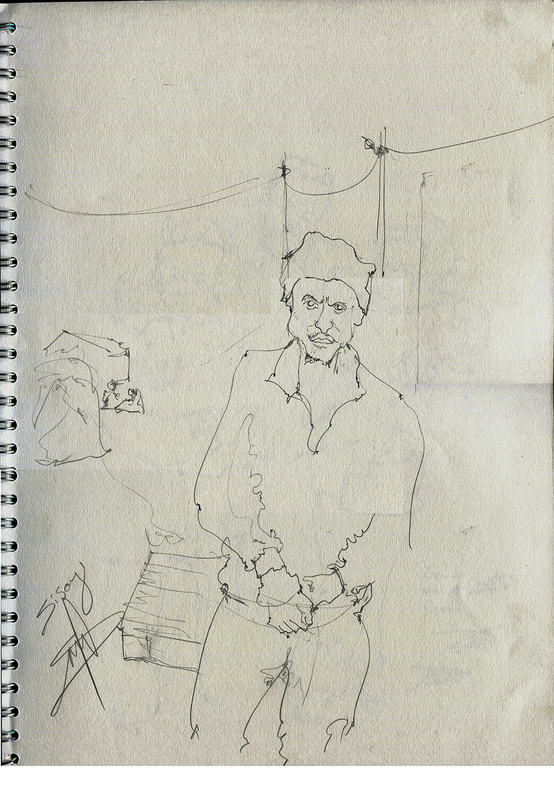 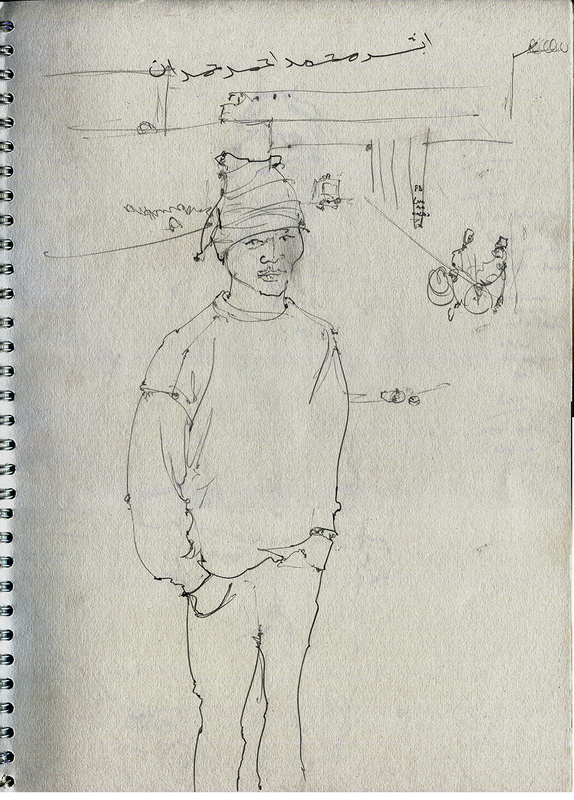 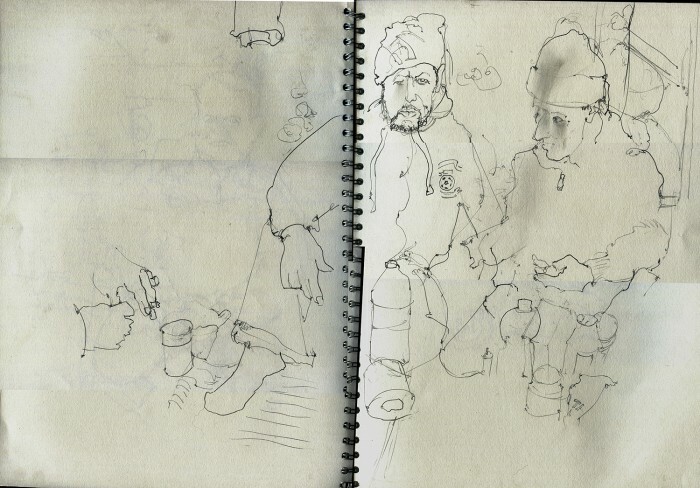 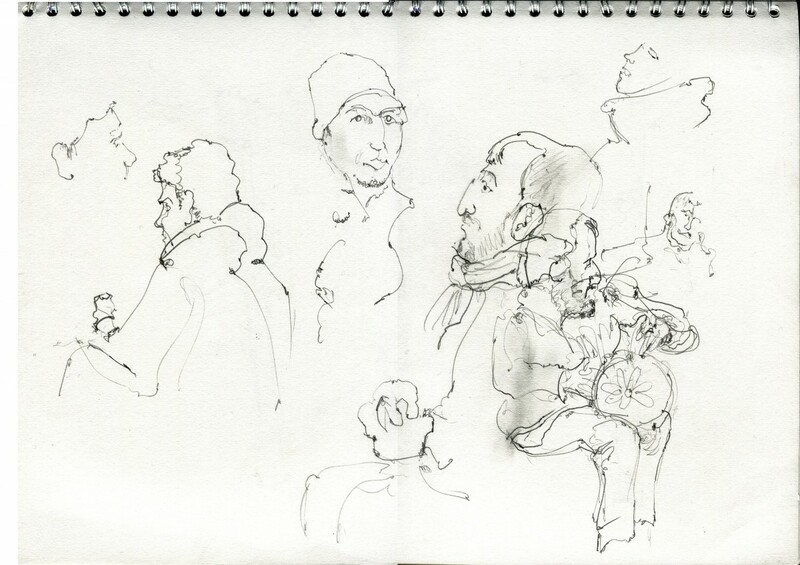 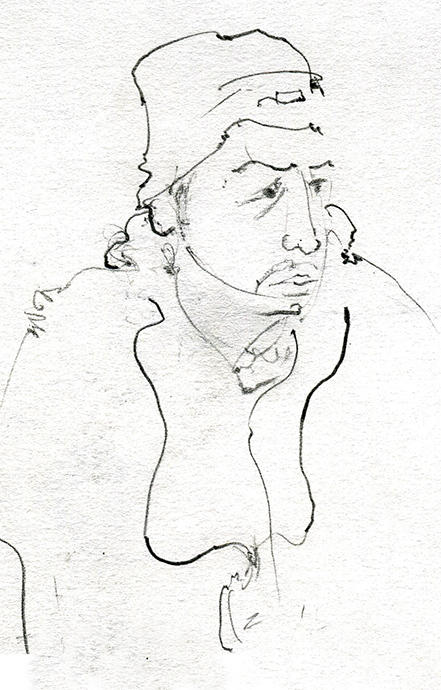 ‘I can see England’ A series of drawings made on location while in Calais. 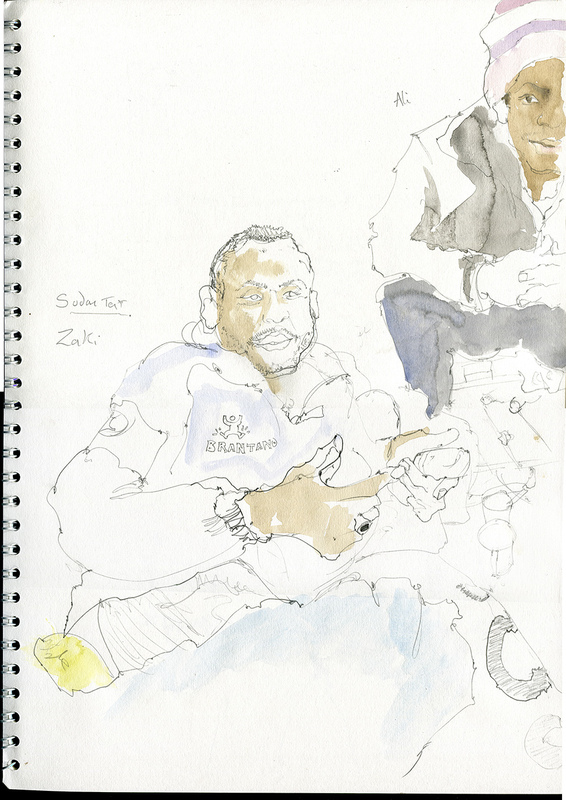 Recording the people and stories behind the migrant crisis and headlines. 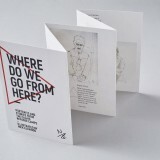 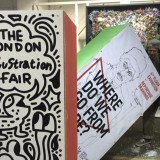 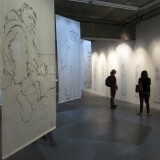 Links to exhibitions of this work below.